I love going to the coffee shop, not that I drink coffee or engage in conversation but because it’s a place and a way for me to get attention. 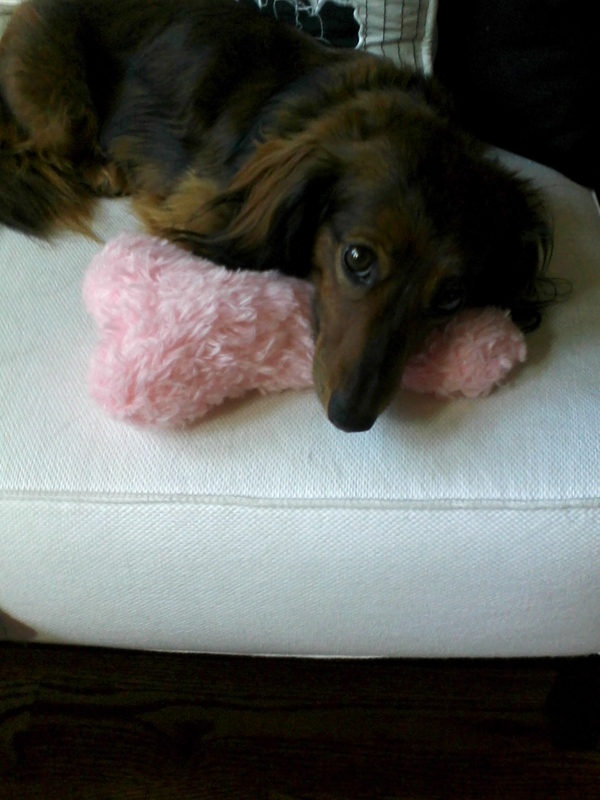 My name is Zoey, and I am a very cute long-haired miniature dachshund. I get petted and told I’m cute, pretty and beautiful and lots of other adjectives about my sable-colored coat and brown eyes—I’ve even been told I have a dainty, feminine face and am very regal in my stance. 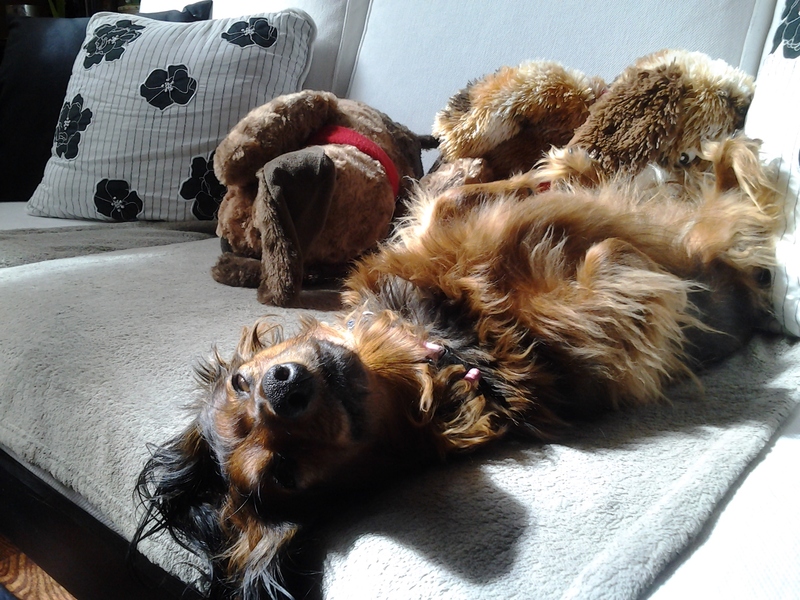 Yep, I’m Queen Bee of the Dachshund World. When my petter moves on, I seek out the next one. I’m a profiler on the stakeout for my next lover of dogs who needs to stop and give me some genuine fur-rubbing. As my BFF Shelley works on her laptop, I am the epitome of a lapdog seeking attention anywhere and everywhere I can get it. She’s addicted to caffeine, and I’m addicted to getting petted, loved, appreciated, acknowledged and having attention poured on me, like sugar, so sweet on a hot summer day. 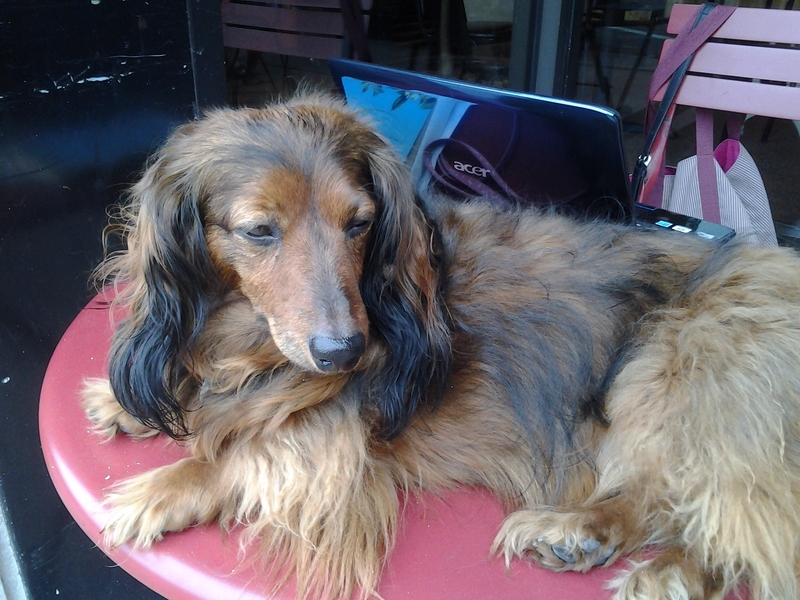 It’s a dog’s life, this sitting around relaxing at the coffee shop. 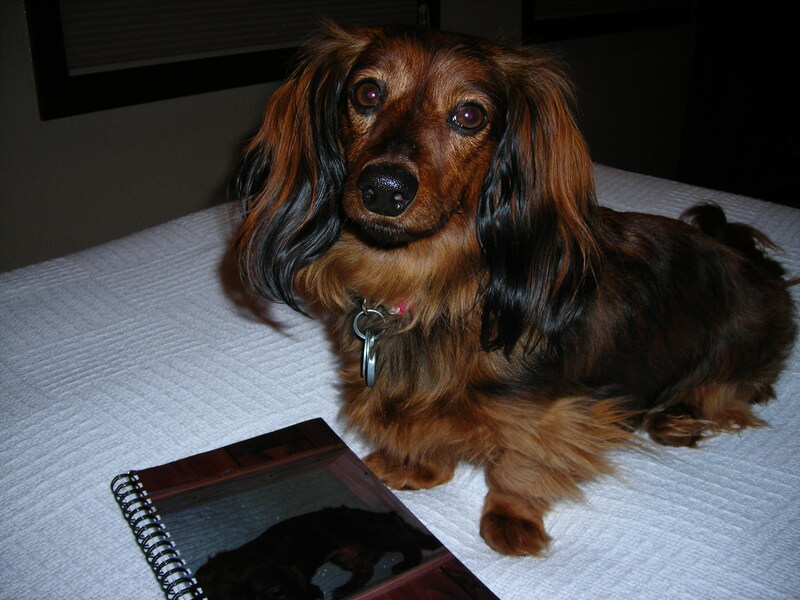 Here I am with one of my journals. It has my picture on it! My BFF Shelley uses notebooks when she does her interviews. My BFF Shelley is famous (or almost, or not quite), but she is the subject of an interview for the Remain Teachable Website, remainteachable.com. I think every day and every month should be dedicated to your pet. My BFF Shelley needs to pay heed to YesDogMo, or National Pay Attention to Your Dog all the Time Month, to be celebrated every month of the year. I like that there are days dedicated to dogs, cats and animals and believe these days should be national holidays with days off from work for pet owners. I actually think Shelley should have all days off to spend more time with me, because I like 100 percent, all-the-time attention. 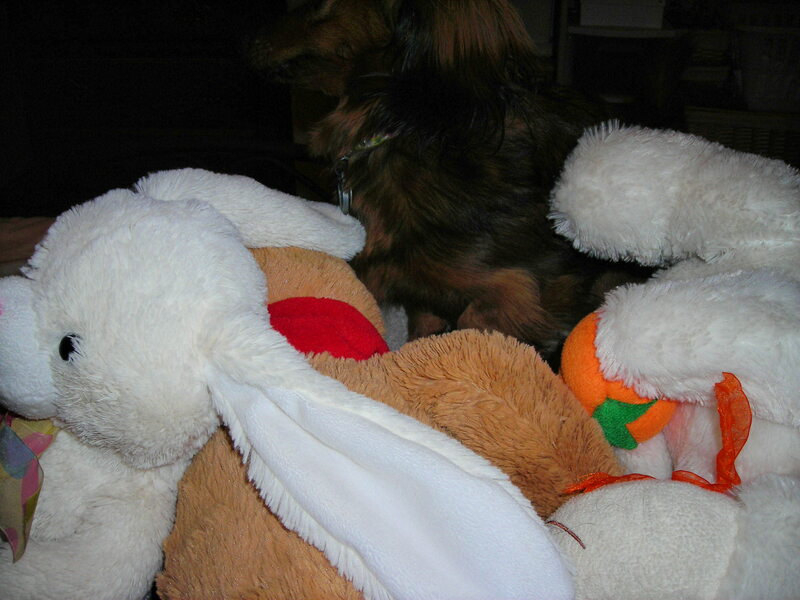 My favorite objects are my teddy bears, toys and treats. Here is a collection of photos of me with my favorite things. Here I am with one of my favorite teddy bears, Brown Dog. Can you find me among all my toys? 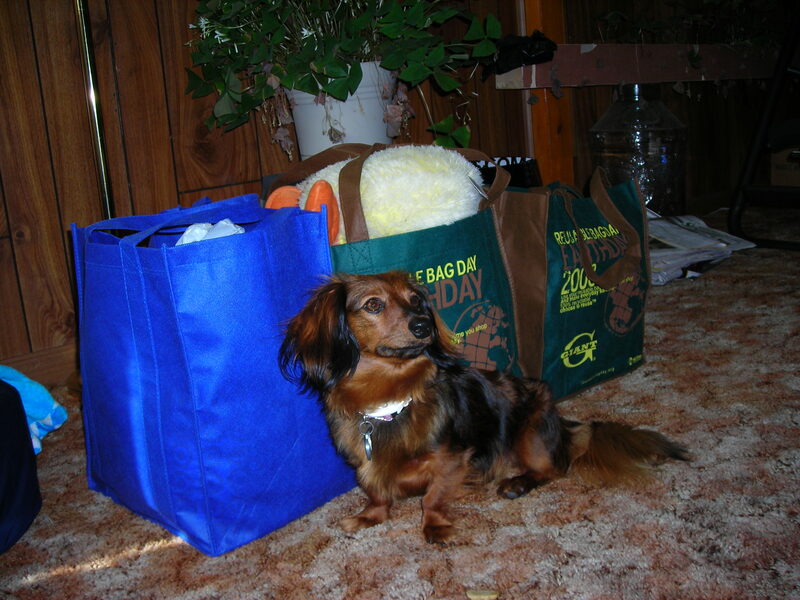 Here I am with all my stuff packed up for a weekend trip. I know, I know, I have lots of toys (and treats! ).